CynthiaLennon | "A day in the life…"
The Signorelli Movement Foundation exists to inspire our rising generation to give back to the world in which we live. The Signorelli Movement Foundation inspires and educates young people to create abundance and pay it forward for themselves and their communities through programs and opportunities our foundation provides. We aspire for people of all ages to be touched by our work and to serve the following mission. The specific purpose of this foundation is to address important social issues in the United States and around the world. The Signorelli Movement Foundation is committed to raising funds through clothing fundraisers that will benefit causes such as: aid in Africa, outreach to children, protecting our planet, protecting animals and wildlife, building healthier lives and breast cancer research. The Signorelli Movement Foundation is also committed to promoting green fashion and socially responsible manufacturing within the fashion industry. 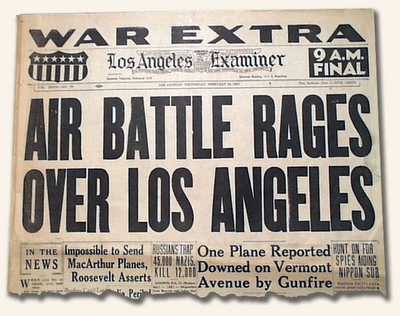 The Battle of Los Angeles is a story/myth an event that happen February 25,1942 after the attack in Pearl Harbor. 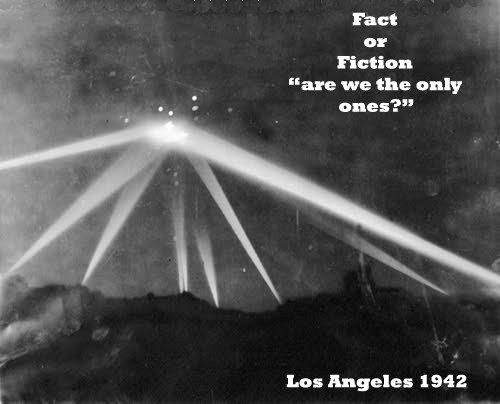 Its been said that after the attack a few days later, 15 strange lights appeared in the coast of Los Angeles near the Santa Monica pear. What appear to be aircrafts thought to be by Japanese air force to attack wasn’t at all true. Those 15 rare but strange lights were not seen in the radar and began the speculations that they were UFOs. The U.S army was called upon to attack those invaders since they were to close to land and were very suspicious. After firing and trying their best to take them out they realize that it was no use that they were not even touch by one single attack and that they didn’t want to attack back, to defend themselves but just float there in silence. That story was said to be a lie after the president and the government tried to cover the story up with lies that it was in deed an air attack by the Japanese. 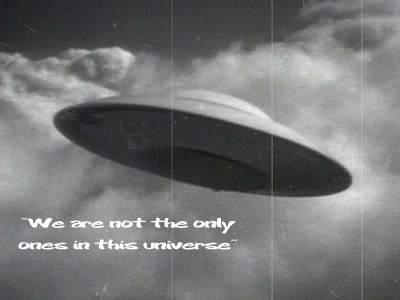 After years of speculations, witness, and photographs the people started to believe that the attack was real and realize that we where not the only ones anymore, that there is life after our universe. 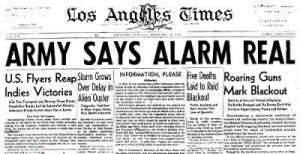 After years of this historic event a movie by the same name is coming out with its on point of view of what happened that day in Los Angeles. The movie is said to be a little more exaggerated than it really was but it gives some light on the story. It’s the viewer who decides if it’s real or not. The movie is set to come out March 11, 2011. I suggest you go watch it if your like me and like this kind of movies or stories based on life that is out of this world. Battle of Los Angeles from 7designs on Vimeo.